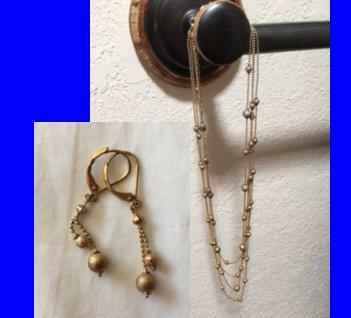 Premier Designs, STARDUST 20013, 4-strand necklace, gold plated with sparkling beads and earring set. This is a retired item from Premier Designs. Earrings, for pierced ears, with 2 hanging sparkling beads. In original box.